Because of this directory structure, I have been extracting these folders to the /usr folder because all the subfolders seemed the same (e.g. 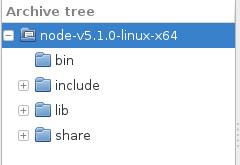 the node binary in <archive>/bin/node went into /usr/bin/node). Is this the right place to put them? 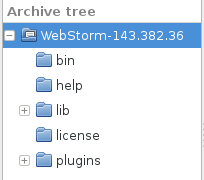 Will the permissions be all correct or will I need to change the owner of any of these files? Shouldn't I extract everything to /usr/local then because the bin folder is already in the PATH and I don't need to edit it then?